A team of Brazilian researchers is therefore spending its time trying to understand these slimy ant-licking noodlemouths. How did anteaters end up with such silly appendages, while their close relatives like sloths and armadillos feature, well, more normal tongues? The answer is, of course, evolutionary adaptations to their ant-filled diets. The author’s latest study involved sampling 29 anteater specimens that had died in veterinary hospitals, or were collected as roadkill, from three species: the giant anteater, the southern tamandua, and the silky anteater. After examining the tongues in various ways and under a microscope, they observed an oval-shaped cross section of a long, narrow tongue. The part furthest from the skull was covered in bumpy protrusions, and the front part was rounded and smooth. 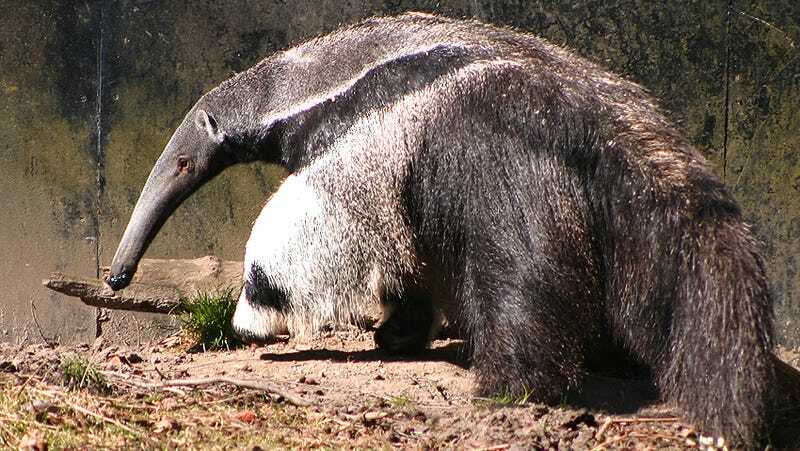 The southern tamandua and the giant anteater’s tongues had conical tips that made them look like, well, penises (the silky anteater did not). On top of that, the muscular structure of the tongue implied that it probably stretches a lot, according to the paper published recently in the Journal of Morphology. This suggests that the muscles are specifically designed to maximize the organ’s speed and stretchiness to fit the feeding behavior. And of course, the whole thing is covered in sticky mucous. But there aren’t a lot of taste buds, as observed in this and in past studies—after all, anteaters are mainly eating ants and, accidentally, dirt. “It is, therefore, plausible to speculate that a tongue weakly adapted to taste function may be adaptive for their feeding habits,” the authors write in the paper. Anyway, enjoy the miracle evolution has wrought to create such well-tuned, silly looking spaghetti-mouthed noodleheads.